Professor Louise Richardson, from Co. Waterford, has been nominated as the next Vice-Chancellor of the University of Oxford. 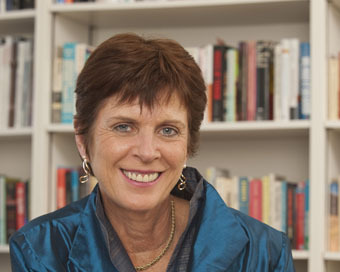 This is a historical appointment as she is the first woman to hold the position in the University, which is the oldest in the English speaking world. The Vice-Chancellor is the senior officer of the University and provides strategic direction and leadership to the University, and to position and represent the University internationally, nationally, and regionally. She was the first female Principal of St Andrews or of any of the ancient Scottish Universities. She holds a BA in History from Trinity College, Dublin, an MA in Political Science from the University of California, Los Angeles (UCLA) and an MA and PhD in Government from Harvard University.